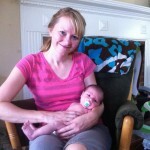 A dear friend of mine, Julie, had a baby on March 15. He is so sweet and tiny. I try to get over to get in some snuggles whenever I can. 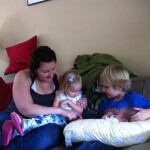 Ruby is also pretty interested in Arie and I love this photo of Ruby, Arie, Julie (mom) and Jackson (Arie’s big bro).